FIVE TIPS. After thinking for such a long time and also learning blogging by doing, I decided to write a few tips to share – related to blogging. I started this blog this year and I know that I’m still new. However, I’m an avid reader - who love to find new information, so I hope what I got will help you in the long run too. Please take a note, this post is based on my personal views, so I’m not asking or forcing you to agree with me. This is just a matter of perspective. So, let’s start with the basic things first. 1. Why do you start blogging in the first place? Be original! Make a topic that interests you and your target readers. Write something that you will read it yourself. Which one are you? The one who loves to post frequently or rarely? However, if you can't do that, so just don't. If you post uninteresting things and not pay attention to the quality (maybe just to fill up your blog or to post in time) - a few times (esp. in a row! ), it can make you lose your readers. You don't want that to happen, right? On the contrary, not posting anything too long also can make you lose your readers. So, you have to cleverly adjust your time and onyour own pace. No one can decide it, but you. 4. Few loyal readers or a lot of fake followers? I'm personally choosing the first one. Few loyal readers tend to leave quality comments ad show us that they actually really read our posts! However, fake followers will just give you repeated fake compliments (sometime even copy-paste their comments from the previous blogs they read), and sometimes, they don't even read the whole posts! Instead, they just look at your pictures or skim through the whole posts, then they make up their own summary. Their main goal? Easy! To gain new followers or wait for us to at least read and leave a comment back to their website. Will you take the time to reach back to them? Well, I don't. I basically started like this. In my mind, the important things are to gain a lot of followers. However, even if you get them to follow you back, they don't really visit your blog again.Yes, you might get a lot of followers after that, but really, how many of them will revisit your blog again? Besides, I'm also tired with the liar who said will follow back, but they actually didn't. What's the use in forcing them? Nothing. So, instead of that, now I'm trying to focus on making quality posts and replying the visitors or fellow friends who give me a little of their time to read my posts and comment on it personally. This is an important thing to notice ( I just realize this point too!). What's the first thing you see or notice from a blog? The posts? No! It's the blog layout. We are unconsciously judging it. If I visit a blog that doesn't care enough to pay attention to their blog layout, I just pass them by and don't bother to browse around. It's fun to visit a blog that has a great design that keeps me want to click their widgets one by one. I don't claim to be an expert, because I'm blind about the html things. Haha! But, I'm learning and trying to pay attention to the little details on my blog. Examples of the blog layout are uncluttered sidebar, having the same width for your pictures (in your posts or your sidebar widgets). 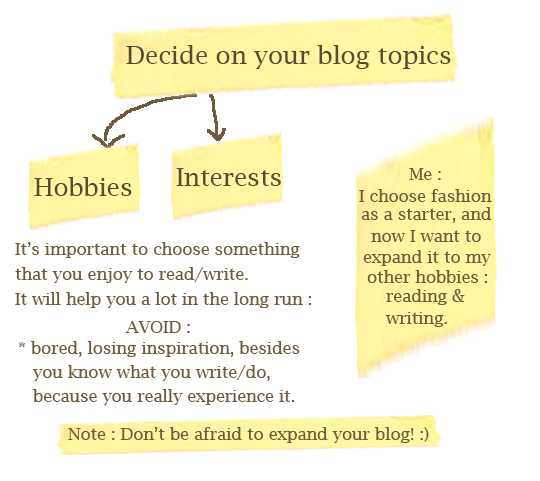 This is just a little bit of explanations about blog layout. 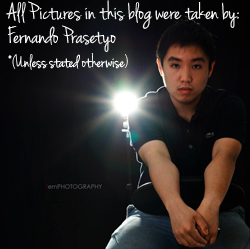 If you want more about it, just leave a comment down here and I'll make a special post about the blog layout. Just drop by the questions. Are these five tips helpful for you? I hope that this post can bring you something to think about or even help you in the long run. Any comments will be greatly appreciated. Thanks for the tips, i think it's useful for veteran blogger too..:) hehe..sometimes blogger do what you said above (including me sometimes -u-) i do follow back if people asked me too..but i think it's okay, we can get inspiration from them and we can keep contact with them eventhough sometimes they only want follower like you said! :D hehe..
Great post! These tips are very helpful. I've only been blogging for about 2 months so I'm a newbie. these are such good tips, thanks so much!! Very interesting post for newbies! Awesome post, dear! Great helpful!!! Hi sweety, this was an excellent post, not only for new bloggers but for all of us. I agree on every point. great tips! what i love about blogging is it is different for everyone and you have total control to do your own thing and decide what you want out of it! Great tips for bloggers. Thanks for posting! I bet, this is very helpful! Thank you for sharing :)! Verry nice post!Thank you for the nice comment. love ur blog, so I followed u.. These are wonderful tips! I definitely would've liked to have known about all of these when I first started blogging. Excellent. Very impressive tips dear! I truly agree with the quality vs. quantity. It's hard for me to follow blogs that have a lot but not organized. 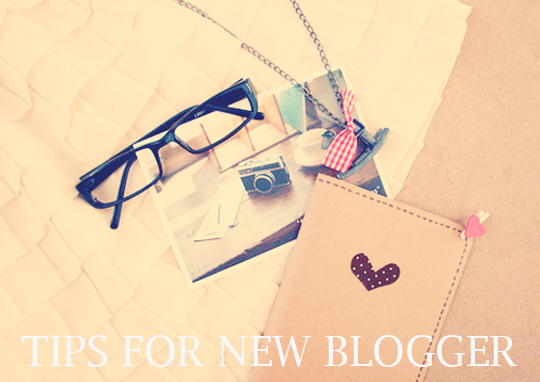 love your blog and glad you put out theses tips very helpful! Very useful tips, especially for a newbie for me ^^ thnx a lot!